A licensed reproduction of classic Ford Parts metal sign. These are the classic signs you would see on the walls at your local Ford dealership Parts Dept. These metal signs make great decorations for the garage, home office, bar or den. They also are great gifts for car collectors or enthusiasts. This is a metal sign, made in the U.S.A. Measures 11.75 inches round. UPC: 6-05279-10791-9 | Part No. 791. 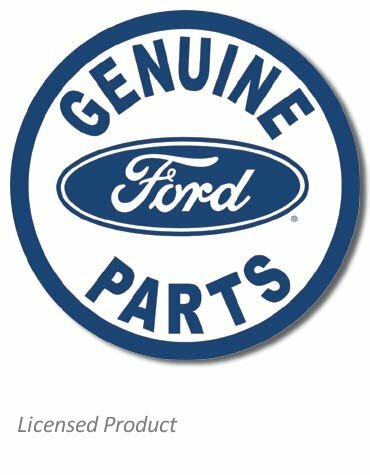 Ask a question about "Genuine Ford Parts" Tin Sign.